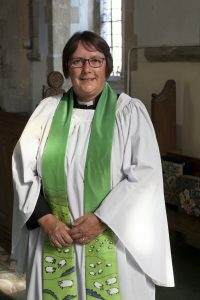 Welcome to the South Warwickshire Church of England Benefice, which includes the churches of St. Swithin’s – Quinton with Admington, St. Peter’s – Welford on Avon, All Saints – Weston on Avon, St. James the Great – Marston Sicca and the new community at Meon Vale. Every 6 years we have to start again with our electoral roll rather than just updating the year on year changes as they occur. This year, 2019 is the year for the old roll to be scrapped and a brand new roll has to be drawn up which means everyone on the roll has to reapply. Being on the roll is important since this is how you become a member of The Church of England and as such, is your way of being committed to the membership of your local church. It also entitles you to vote for your PCC representatives at the Annual Meetings held during March or April every year. Applications to get on the new roll will be available in each of our four churches over the coming weeks. You may also contact me, Ros Greenhalgh at the Welford Rectory. A word or two about Data Protection. 3. To publish the electoral roll. All of the relevant purposes are set out in the Church Representation Rules and Parish PCCs must comply with these statutory requirements. Anyone who applies to be put on the electoral roll should be aware of all relevant requirements by reading the following ‘Privacy Notice’ below. There is provision, on request, to withhold your home address from being published on the Electoral Roll but your full name must be present. Please click this link Electoral Roll Privacy Notice which applies specifically to each one of our four churches in the South Warwickshire Benefice.